Your passion is valuable and can earn bread for you only if u know how to present it to the world. Everybody has some expertise or knowledge that someone else would be willing to pay for and they are a fantastic way to earn money from your passion, which will help people stick around to find out what else you offer. I mean, that?s the dream, right? Getting paid for doing what you love? When you?re passionate about something, it follows that you want to spread the word to everyone you meet. Well, the situation is actually a little more complicated than that. Can you make a living doing what you love? Yes. . . and no. To be honest with you, it depends. 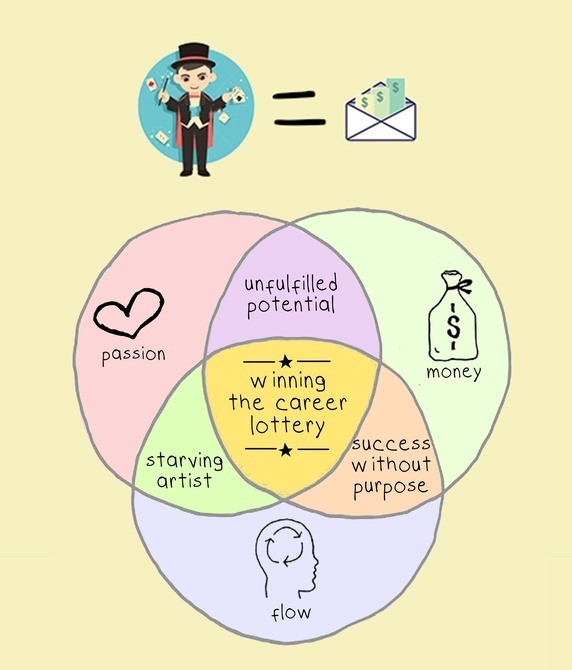 Not every passion or every dream or everything you love to do has profit potential. Some dreams and some hobbies make lousy businesses. For a business to exist there has to be at least two things: a product or service, and people willing to pay for said product or service. If what you love to do isn?t useful to anyone else ? if it doesn?t create value for other people by solving an obvious and irritating problem or bestowing some desirable benefit ? then you?re probably never going to make money doing it. Passion isn?t enough if there?s no business potential. Making any change starts with small steps. Once you?ve defined what your passions are and what type of long term opportunities are out there, you can create a workable plan. Dream big, but then start small by creating workable goals on paper and mapping out your goals. The first step is realising that you do have all the options in the world! But, Understand that having passion is not enough. 1. Don't count on passion alone. No matter how great you think the idea is, you still need to understand what your market thinks." That is Why Some Businesses Thrive and Others Fail to Reach Their Potential. Choose some best tools(cost effective) and easy tools to achieve it. Start a business website, which solves most of these problems. Go with the trend. Get online!!! It doesn?t cost you a fortune. You have the benefit of keeping your audience right there on your website. But mere creating a website is not enough. Your web must be alive. Your domain name is like your brand. It should be easy for a user to type it into a Web browser. Write about your business so that people get to know you clearly. Your website won't do you as much good if no one can stumble upon it. Become familiar with the SEO basics to make it more accessible by search engine. For many businesses, your website is your first impression on a customer. You want to give them what they're looking for, and perhaps even give them a reason to keep coming back. You website should even have a link to your location in Google maps. The point is to make it very easy for users to communicate with you on their terms. 9. You can?t afford to have a bad design. There are many other elements besides how your website looks that go into making it customer-friendly -- not to mention something that inspires them to actually do business with you. 11. Consistency is key when publishing content. Daily, Weekly, Monthly, you choose how often to post and stick to it. Break things down into short paragraphs, with headers if necessary. Use bullet points.Highlight important words or phrases. ?Don?t give up ? The biggest difference between success and failure is not giving up.? You'll either have to delegate the primary work to others, or you may choose to delegate managing the operation of your website to someone else so you can continue to focus on the primary work yourself.